A hard region of tundra, mountains and wooded fields seated beneath a cold, gray sky are the lands of Cimmeria. A hard region of tundra, mountains and wooded fields seated beneath a cold, gray sky are the lands of Cimmeria. It is surrounded by those who would aim to either kill or conquer the native barbarian clans that have thrived here since the time of the Atlanteans. The hard terrain is often softened with blood-churned mud of Pictish invaders, Vanir raiders, Hyperborean Gurnakhi, or foolish would-be conquerors from the Border Kingdoms. But no one man could possibly claim these unconquerable people-or the lands in which they struggle daily to survive. Cimmeria is a harsh place of clan wars and tightly-knit families, where strength and cunning are key to survival. It is a land filled with dangerous people and predators, where much of the life that can be found in its frozen hills only lives to take life from another. Wolves, mountain cats and fierce bears hunt the frozen ranges and thick woods, more than capable of killing entire hunting parties unprepared for their savagery. Stories of monstrous beasts and dark legends waiting in the icy wastes for foolish travelers are told around crackling campfires, many of which have been proven true time and time again. In Cimmeria, if the weather and the terrain do not claim you, something else likely will. Only the strong will carve out a living here, often quite literally. The terrain is difficult, but many come to see for themselves. 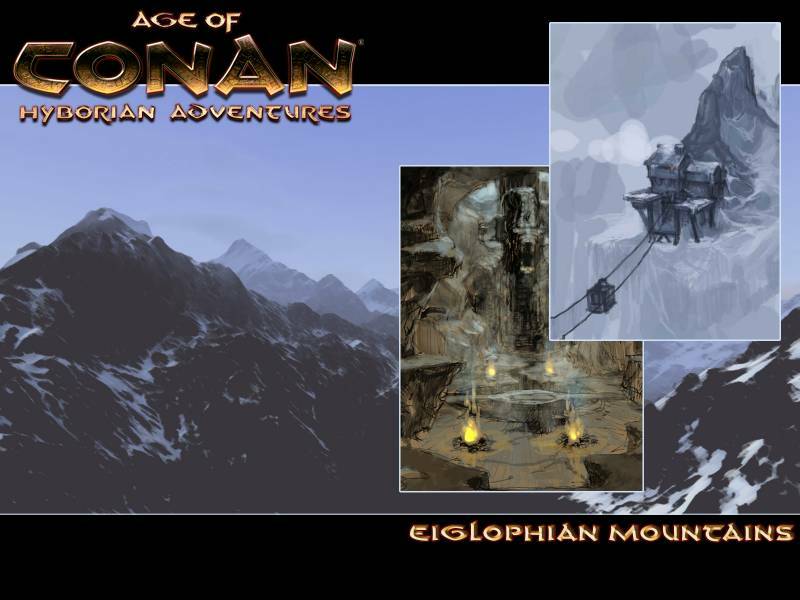 The Eiglophian Mountains tempt adventurers into their frozen heights to test their mettle against bloodthirsty cannibals and fabled creatures of legend. The "Field of Chiefs" and its Standing Stone, where the clans can come to speak of peaceful alliances, fearless of treachery, is a living piece of history. There is little question as to why foreigners who believe themselves strong of arm and swift of blade come to Cimmeria. 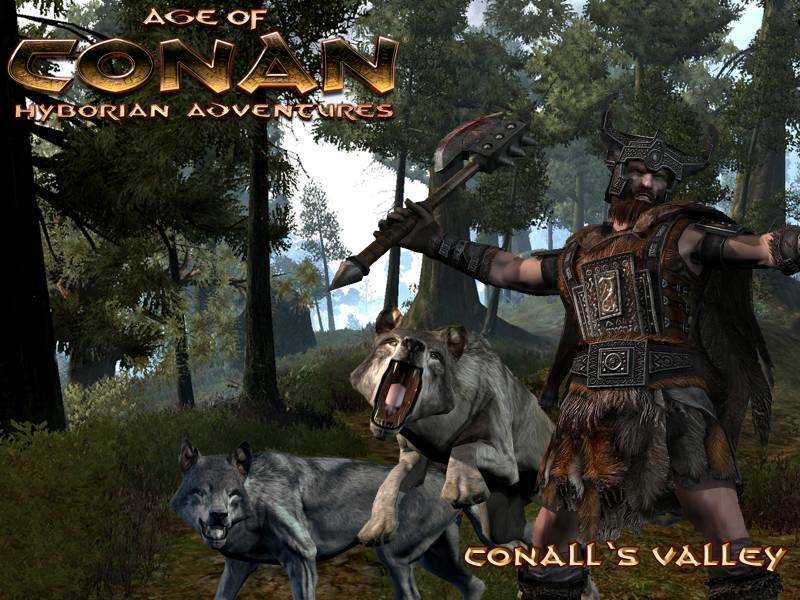 It is the land that spawned the great and famous Conan, whose travels and adventures have been the road map of legendry for all of Hyboria. Many of his exploits echo across his homeland, beckoning others of the clans to mimic his life of danger and excitement. In a way, it was this land's harshness that tempered Conan as much as the drive of the man himself. Cimmeria, the land of Crom, may not be peaceful, pleasant, or easily survived, but it makes a tough people even tougher and sends the foolish to an early grave. It is a difficult place that lays low the weak and heralds the strong. 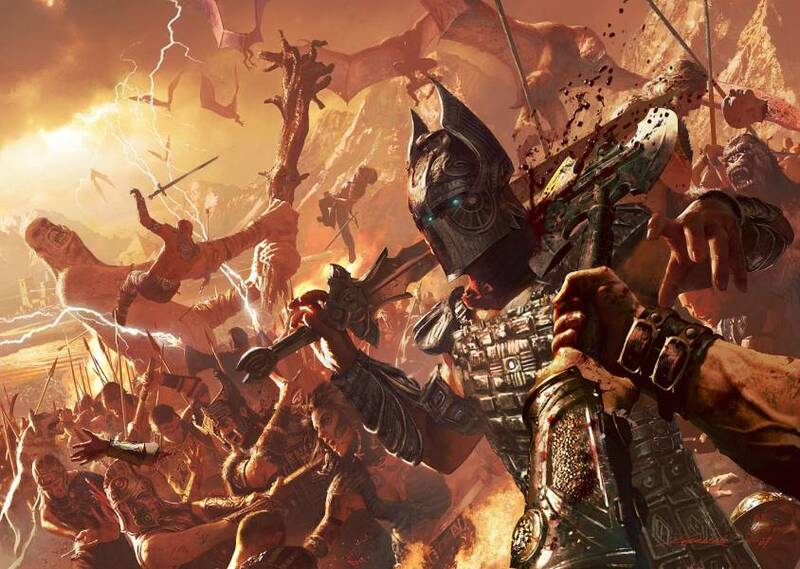 There is a saying amongst the clans of the southern border-"Make peace with your gods before you come to Cimmeria, as it will not be found here."